M.K. England is an author and YA librarian who grew up on the Space Coast of Florida and now calls the mountains of Virginia home. 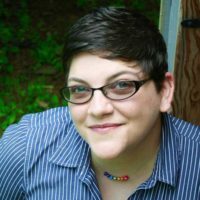 When she’s not writing or librarianing, MK can be found drowning in fandom, going to conventions, rolling dice at the gaming table, climbing on things in the woods, or feeding her gaming addiction. She loves Star Wars with a desperate, heedless passion. It’s best if you never speak of Sherlock Holmes in her presence. You’ll regret it. 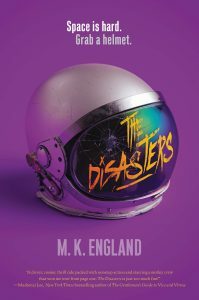 THE DISASTERS is her debut novel.